We have 4 different type of bikes for adults and some children bikes. We have different sizes from S to XL. All our bikes are equipped with a tool kit and one lock for 2 bikes. * A 150€ deposit will be required (per bike). Minimum rental 3 days. 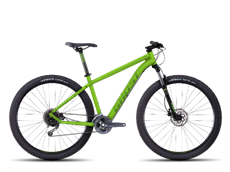 * Price without discounts and with 2 adult rental bikes. Minimum rental 3 days. What’s included in the rental bike? Ask for the villages we can deliver the bike!